Comment: B-Complex is a producer from Venezuela whose two-track issue is thought to be a non-dance music example though exploiting thoroughly dance music elements with gusto. 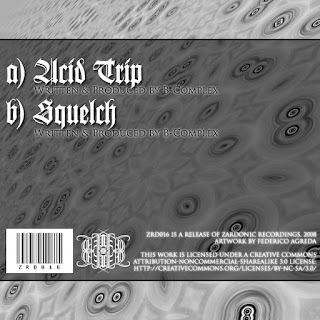 Given that one of the criteria of dance music could be high intensity of beats, however, B-Complex`s endeavours in this field used to exceed these numbers. Moreover, the logic of the issue is quite different from an average drum and bass/jungle album because its nature is more disrupted and fragmental due to female voice-led samples and relentless changes in the rhythmic patterns. Therefore it could be said it is a breakcore issue, which outfit is remarkably more experimental and staggering than an average dance music issue. Ultimately it makes highly difference. 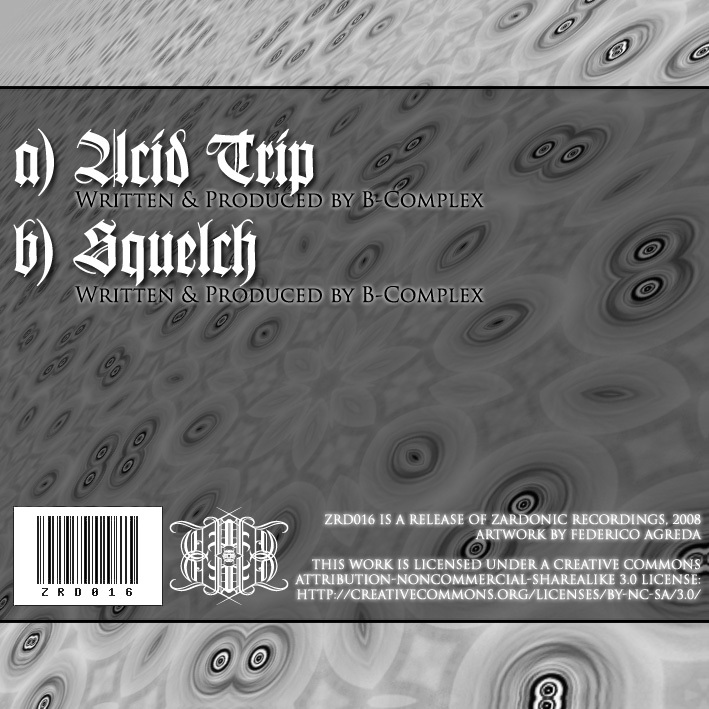 The issue is a part of the catalogue of Zardonic Recordings.